Gordon Bower has been a leader and innovator for nearly 45 years in theoretical contributions and laboratory studies of human memory and learning. His contributions span several fields of psychology. His research includes studies on the influence of organizational factors on the storage, retrieval, and forgetting of memorized material, and the extension of his earlier studies to account for the influence of psycholinguistic factors in determining memory structure. His earlier work concerned mathematical descriptions of learning and memory structure. Later, he and his student, John Anderson, presented a comprehensive theory of associative learning that used the insights of artificial-intelligence combined with ideas from verbal learning to explain results from laboratory studies of short-and long-term memory, inferences, and question-answering with linguistic materials. He has extended this work to describe how people construct and utilize mental models to comprehend and remember event sequences and simple narratives. He has also studied how people’s emotions influence their memory and thoughts, and especially how their remembered thoughts bias their personal and interpersonal judgments. He has published more than 200 scientific articles and is the co-author of books entitled Introduction to Mathematical Learning Theory, Attention in Learning, Theories of Learning (through 3 editions), Asserting Yourself, Psychology Today: An introduction, and Human Associative Memory. He edited 25 annual volumes of The Psychology of Learning and Motivation, and served as consulting editor for major journals in the fields of learning, cognition, and emotion. His research was continuously funded by NIMH. 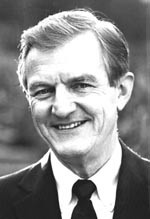 In 1992-1993 he served as chief scientific advisor to the NIMH director during which he organized an extensive review of psychologists’ basic research contributions to mental health. That report, arguing for increased funding for basic behavioral research, was presented to the United States Congress in fall of 1993. Bower received his undergraduate degree from Case Western Reserve University (1954) and his PhD (1959) from Yale University. Bower’s first and only job has been with the psychology faculty at Stanford University – a department that has been top-rated in graduate training throughout this period. In 1975 he was appointed to the A. R. Lang endowed professor chair. He also served as department chairman for 4 years and associate dean of the college for 3 years. 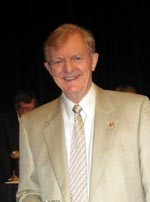 He retired to emeritus status in January 2008. Bower was noted as a gifted teacher and inspiring graduate-research mentor; many of his PhDs have become famous research psychologists in their academic institutions. His students and colleagues have honored him with two festschrifts – one, Tutorials in Learning and Memory (1984, J. R. Anderson & S. M. Kosslyn), for his 50th birthday and the other, Memory and Mind (2008, M. A. Gluck, J. R. Anderson, & S. M. Kosslyn), upon his retirement. Bower’s honors include several honorary degrees and election to the National Academy of Sciences, the Society of Experimental Psychologists, the American Philosophical Society, and the American Academy of Arts and Sciences. He was elected president of the American Psychological Society (APS), the Cognitive Science Society, the Psychonomic Society, the Western Psychological Association (twice), and the Experimental Psychology division of the American Psychological Association (APA). 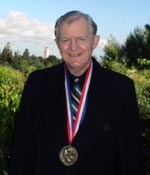 He has received many professional honorary awards including the Warren medal from the Society of Experimental Psychologists, the Wilbur Cross medal from the Yale graduate school for outstanding achievements, the Distinguished Scientific Contributions Award from APA and from APS, the presidential citation for lifetime achievements from APA, the Lifetime Contributions Award from the Western Psychological Association, and the United States President’s National Medal of Science. * The FABBS Foundation would like to thank Dr. Robert Sternberg for nominating Dr. Bower for this honor and for leading the effort to spread the word about his nomination. Would you like to honor Dr. Bower? It’s not too late to have your name added to the list of donors! You can make your donation to Dr. Bower’s In Honor Of… campaign at anytime.